Read on to find out more about folding and scoring machines. Perforator blades tend to wear out quickly. This is just a fact of the industry. In this blog we’ll go over some tips how to deal with perforator blades when it comes to folding and scoring machines. You can expect superior results with some of these pointers. 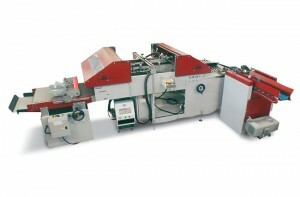 Read on to find out more about folding and scoring machines. Shaft gaps are also called pressure or pitch. Particularly with anvil-style perforators, this is vital. Only use the least amount of pressure that you need to get the job done. This will keep the perforation clean across the entire sheet of paper. As with many other things, keeping your tool parts clean is essential for helping your folding and scoring machines work. The most important part in this regard is the blade itself. A dirty blade or blade holder will make the blade come loose; it won’t sit neatly in the holder. This will, in turn, cause a small wobble from the looseness, which will wear down the blade more quickly before it’s supposed to wear out. Wobbling tools will cause other components such as blades and counter knives to wear down more quickly. This is unnecessary and costly. Better tools, known as tight tolerance, will help prevent this and also improve performance. Choose higher quality steel; low quality steel allows for rust and corrosion to creep in more often. Rust and corrosion will also affect seating of the blade, making it less effective. For all your setups, keep notes on them. You don’t want to have to restart prior processes or begin anew every time you need a job done. That reduces productivity. Keep a notebook handy, or on your phone is pen and paper is unavailable or too unwieldy. This entry was posted on Friday, February 17th, 2017	at 3:21 pm	and is filed under Blog, Fixing problems, Printing tips	. You can follow any responses to this entry through the RSS 2.0	feed. Both comments and pings are currently closed.